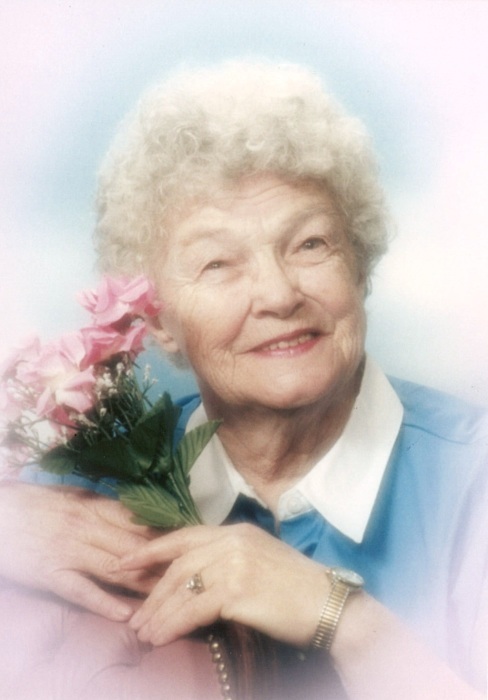 Frances was born in Spokane, WA in 1929 and was a long time resident of Post Falls, ID. She was preceded in death by her husband of sixty nine years, Vincent Rainier, daughters, Mary Newman and Terry Lee Rainier. She and her husband each passed away at 3:07 a.m. eleven months apart. She is survived by her children, Vince Rainier and family, Fayetteville, NC; Dawn Mossoni and family, Spokane, WA; Nick Rainier and family, Littleton, CO; Diane Rainier and family, Boise, ID; Erin Olson and family, Spokane, WA; Tom Rainier and family, Denver, CO; and Joe Rainier and family, Post Falls, ID. She was the neighborhood woman all kids called mom, her house always had extra kids running around. She loved her kids about all else. She also loved all her pets; dogs, cats, birds, rabbits, and more. She was greatly loved, and will be greatly missed.